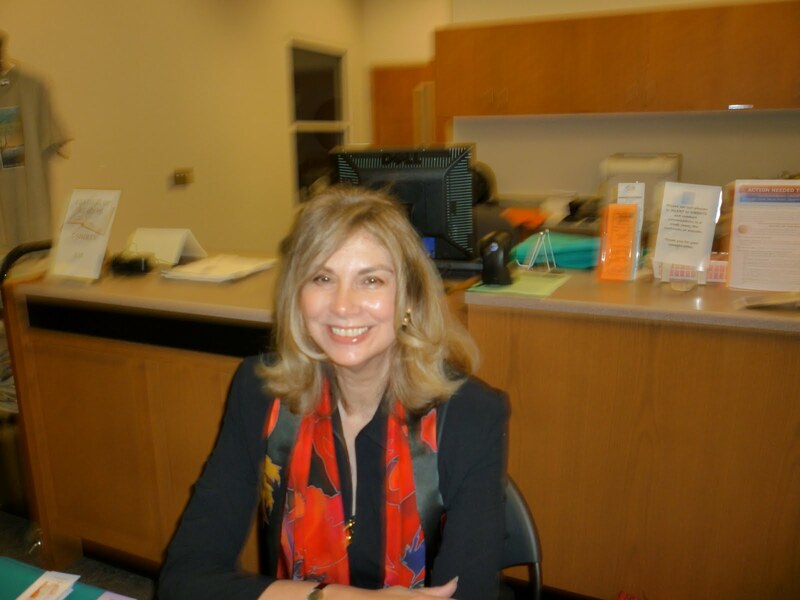 Elaine Viets writes two national bestselling mystery series. 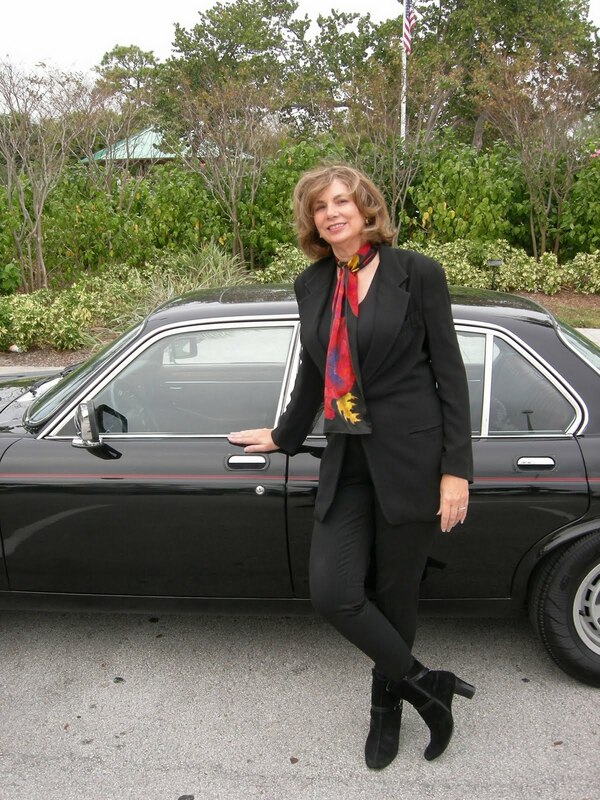 Elaine’s second series features St. Louis mystery shopper Josie Marcus in The Fashion Hound Murders. The debut, Dying in Style, tied with Stephen King on the Independent Mystery Booksellers bestseller list. Elaine won the Agatha, Anthony and Lefty Awards. Retail offers endless opportunities for rudeness. I should know. I’ve had jobs in shops on and off since I was 16. I’ve worked with customers – and for bosses – who inspired me to craft murderous tales where they died horribly. But retail isn’t always nasty. Occasionally, I see incredible acts of kindness. 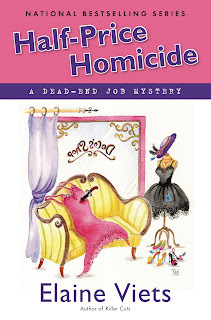 I did the research for “Half-Price Homicide” at Hibiscus Place Emporium, a Fort Lauderdale designer consignment shop. When I was there, the store was owned by Manny Lopez, a young man from Ecuador. Manny taught me that real Panama hats are actually made in his country, not Panama. Manny also possessed amazing tact. Hibiscus Place sells designer purses on consignment. Many of these purses cost $500 to $3,000 new. To me, anything that costs $3,000 should have wheels and a motor, but I’m not a fashionista. Hibiscus Place clients would bring in expensive designer purses that were barely used – sometimes still in the original boxes – for consignment sale. They got half the selling price and Manny got the other. It was a good system. Many women will not leave the house without a purse sporting a designer logo. But designer purses are easy to fake. Manny saw a lot of those, too. He refused to sell them at his store. His customers could tell the subtle differences between the genuine article and the imitation. One afternoon, I watched Manny with a sweet-looking older woman who wanted to sell two fake purses. The purses were fake – even I could see that, across the shop – and there was nothing subtle about these imposters. Their dull metal trim and poorly matched print fabric were two of the more obvious giveaways. But the fake purses had been gifts from the woman’s son, and she treasured them. She had no clue they weren’t real designer bags. She wasn’t trying to cheat anyone. A short, sturdy woman entered the shop. She looked like the perfect grandmother. Her blue pantsuit had a tabby cat on the front. She had fluffy white hair and a sweet smile. She opened a plastic grocery bag and brought out a purse wrapped in a white towel. Helen could tell it was a fake and a poor one at that. The classic brown monogram Vuitton bag had missing stitches on the leather handle tabs. The brass fittings were dull and the nylon zipper looked cheap. “Was it a gift?” Vera asked. “Oh, yes,” Perfect Grandma said. “My dear son Edward and his wife brought it home from their Caribbean cruise. They bought me two designer handbags.” Her face was pink with pride. “I wouldn’t sell this one except that my Social Security doesn’t stretch as far as it used to. And I have my Gucci.” She patted another obvious imitation. “Maybe later,” Perfect Grandma said, and swaddled the purse like a newborn. Manny had no retail reason to be kind to Perfect Grandma. She couldn’t even afford to buy his real designer purses at Hibiscus Place. He let her keep her pride and her illusions. She’ll never know what Manny did for her. I hope nobody tells her the truth about sonny boy’s gifts. 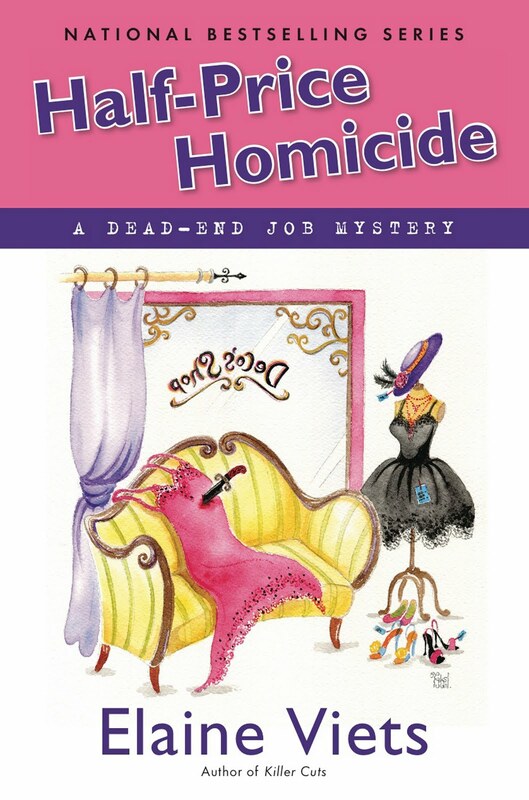 “Half-Price Homicide” will be in stores May 4. To order your copy go to www.elaineviets.com. If you’d your copy autographed, choose Mystery Lovers Bookshop from the three stores on my home page. Aww! Now that was a sweet man! And I love it that you've immortalized the moment! I have to say that Helen Hawthorne is one of my favorite book characters. The fact that Elaine works at the same job she has Helen works says so much about this great author. HALF-PRICE HOMICIDE is next on my list to read. Wonderful blog! Looking forward to your visit to Stiletto Gang later this week! Good luck with your new book. I love Helen too. And I wish we had a designed consignment shop in Boone! Thanks very much for stopping by, Elaine!! Hi Kaye, just popping in to say hello and I signed up to follow. I found your blog at Lesa's Critiques re the discussion about all the Kay/Kaye's around. I am the one "with the penguin" as Lesa says. Ha! You've got a great site here, how did I miss you before? Hi Kaye! Welcome!! I think we've missed one another 'cause we're the same person! LOL!!!!! !